Sony Xperia XZ2 1080p 960fps Spec! The new Sony Xperia XZ2 from Sony is their flagship phone for early 2018. It has a lot going for it like 4k HDR movie mode which is a first for a phone and from what we can see it really makes a difference in dynamic range and color on the footage. It also has the latest Snapdragon 845 SoC for increased performance with the battery savings to boot. What we are interested however is the slow motion high frame rate capabilities which after the Galaxy S9 with 960fps HD 720p announcement, Sony needed to respond accordingly. Well, Sony has done so and they now claim 1080p 960fps slow-motion video on their XZ2 phone which is a one up on the Galaxy with more resolution. However, it is not all that rosy as companies seem to equate a frame size with video quality which in many cases is not even close to spec. The advanced Motion Eye™ camera records 960fps Super slow motion in HD or Full HD. 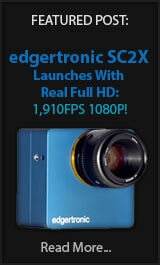 And it also shoots 120fps standard slow motion. Switch between modes to make the most dramatic videos from passing moments. Sony and Samsung with both recent releases have been playing the frame size game without actually delivering spec 1080p or 720p video. When you see the footage it is clear the Xperia XZ2 is throwing away hundreds of lines of resolution to be able to shoot at 960fps. There is stair stepping jaggies, moire and obliteration of fine detail all over these shots. This looks more like a 720p image with missing lines of resolution then upscaled to 1080p for claiming better resolution. There are actually real frames being recorded but the cost of cramming them into the phone encoder and memory destroy the potentially great 1080p quality and make a mockery of the resolving power of the camera which is now at 19MP with excellent low light ability. Sony is making breakthroughs in sensors every year and the Motion Eye technology is class leading. Sadly the translation to the XZ2 phone suffered from an acute case of line amnesia. Rec time is what? No Way Jose! To make matters worse the recording time at 960fps has suffered to just 0.1-seconds from 0.2-seconds on the XZ Premium and XZs of last year. They now claim better resolution at 1080p which is true compared to the less than good 720p on the older phones but hardly what you would call quality 1080p for even a midrange phone camera. This translates to 3.2 seconds played back at 30fps 1080p for the XZ2 and while this is doubled to 6.4-seconds at the 720p option which matches last years phones it is of little consolation when you want a shot to last. So why is Sony playing the resolution game? Well, the lab spec in most products is usually an overshoot of capability for commercial parts. The Sensor and memory buffer vary considerably from initial concept to execution. It seems Sony prioritized 4k HDR video at 4k which is really outstanding in this phone and could be the best quality 4k footage ever recorded by a smartphone. In that case, the phone is an excellent option for people looking for no compromise 4k quality on their phone with more than decent continuous AF tracking. Sony is also only doing 4k 30fps and not doing 4k 60p which is now present on the iPhone X, 8 and Galaxy S9 from Samsung. This has to do with HDR processing which is not fast enough for 60p recording as it would probably need a 120fps 4k scan to produce. 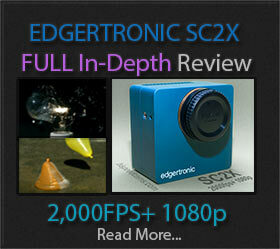 What about 120fps and 240fps 1080p continuous? After exhaustively searching for the full spec list on this phone in several info sources it seems the phone just tops out at 1080p 60fps continuous video recording. Yes, a phone that claims 1080p 960fps super slow motion is not including the basic 120p and 240p that phones like the Galaxy S9 and iPhone X, 8 are sporting for continuous recording. This is a big FAIL! Even when Samsung’s Galaxy S9 has 960fps at less than stellar quality it still offers 240fps recording which in our view is a better spec than a 0.1sec low res 1080p upscaled format from the Xperia XZ2. 4k 60fps is also present on the Galaxy S9. Consider us unimpressed by Sony and to a certain degree at Samsung. If we had to give a recommendation on the two phones Samsung is the clear winner this round with an overall more powerful phone with better ergonomics/design and frame rate combinations. But if you already own an iPhone X or 8 then you have really nothing to see here, keep your handset and enjoy waiting for a true upgrade. If you have to buy a new Phone we would probably wait for the Galaxy S9 120fps and 240fps slow motion samples to surface before making a recommendation. If we feel they are great quality then we can easily recommend the Galaxy S9 as a great slow motion phone option but you can already have one on the iPhone. Still waiting a few weeks will serve you well. Sony’s XZ2 has dropped the ball in the frame rate department and while their 4k HDR up to 30fps is cool, we rather have a 4k 60p spec. Just to note, the slowmotion videos on their site is from the XZ1 and XZ Premium. I don’t know why they didn’t include videos from the XZ2. This is the only vid I found online that shows the 960fps feature at full HD. It is better but the recording time being reduced to 0.1 seconds is ridiculous. It wouldn’t have been so bad if there was an automatic detection mode like the Samsung, but there isn’t. Thanks Slowmosage, we saw other footage from the videos above that shows the resolution drop which is better than the XZs and XZ Premium but still a far cry from 1080p. We’ll incorporate that video in the samples for the XZ2 once we gather enough of them. 0.1sec is too restrictive to be useful.